UPDATE: September 4, 2015 (Gephardt Daily) — Taylor Swift has left the stage and the audience has gone. The Energy Solutions Arena is now quiet and dark. For Sam and Jo Brady, 11 and eight, it was a night they will never forget. 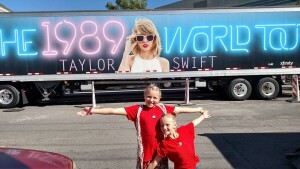 They got to be part of an incredible evening as they watched Taylor Swift entertain her fans. They also got something else, something very special. 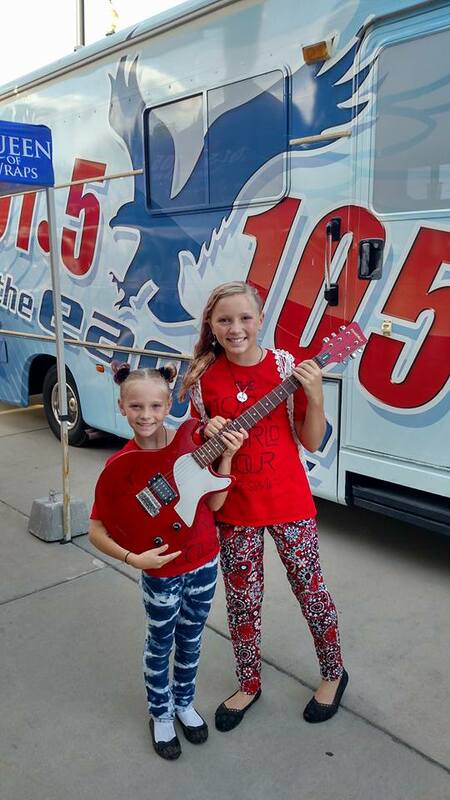 The sisters received a red guitar signed by the sining idol herself as a ‘thank you’ for folding 1989 paper cranes to earn a special wish according to an ancient Japanese legend. Their wish was simple and heartfelt. It was for Taylor Swift’s mom to get better. The singer’s mother has been diagnosed with cancer. After the concert, Laurie Brady, Sam and Jo’s mother left this post on her Facebook page as she left the ESA. “Cannot even begin to say what an incredible evening we had. We danced and sang all night long. Taylor Swift puts on the most incredible show. The girls got their guitar freshly signed by Taylor and in red! Not even 1 mile from the concert and Jo is out zzzzzzzzzzz. Thank you Chantel, Jon, and Justin for making my girls dreams come true! Thank you Tony and Lisa with Gephardt Daily for believing in the girls and getting their story out. And thank you to everyone who shared Sam and Jo’s dream and made this night happen. We love you all and could not have done it without you! And thank you to Aunt TayTay Traci for coming and dancing the night away and making sure the girls had over the moon fun! 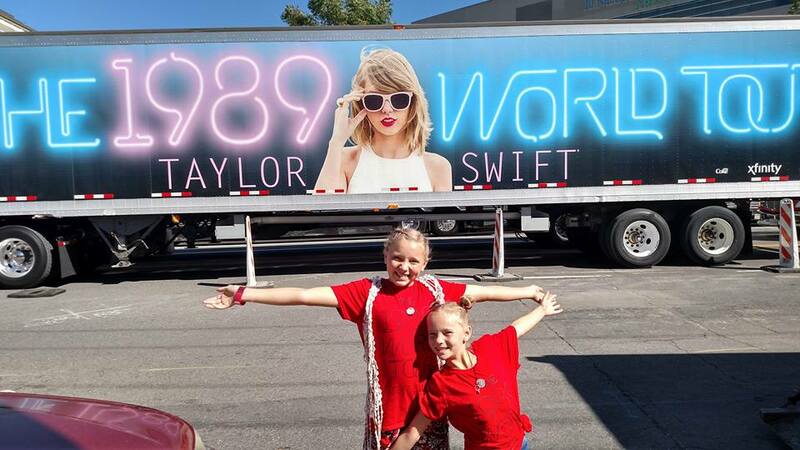 UPDATE: September 4, 2015 (Gephardt Daily) — I just chatted with Jo and Sam Brady as they were on their way to see Taylor Swift in concert. The girls are giddy with excitement as they get closer to show time. The two young ladies caught Swift’s attention by folding 1,989 paper cranes to honor the singer’s mother who was diagnosed with cancer. To say ‘thank you,’ Taylor Swift sent the girls some cool gifts and tickets to tonight’s concert at the Energy Solutions Arena (ESA). 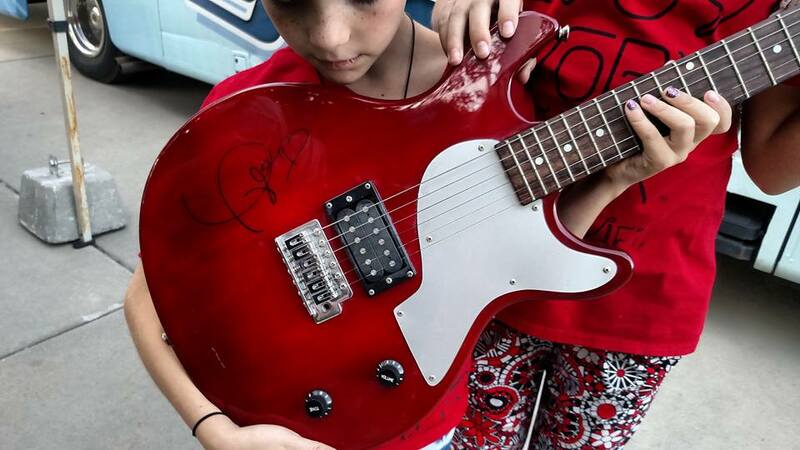 What was missing was an autographed guitar that Swift promised the sisters. So, as the girls head off to the ESA, their enthusiasm is building. Will they meet their hero? The girls have been working on the crane folding project for the last four months in hopes that their wish of Taylor Swift’s mom getting better, would come true. SALT LAKE CITY, UTAH – April 28, 2015 (Gephardt Daily) – Jo and Sam Brady, eight and 11, are making an effort to help one celebrity try and keep her head up during a time of need. Taylor Swift recently took to her social media sites to announce that her mother was diagnosed with cancer. During the day when the two girls are watching TV they like to fold cranes, yes, origami cranes. There is an old Japanese legend that if you fold 1,000 you get a wish; “and our wish was to get tickets to Taylor Swift’s concert,” Jo told Gephardt Daily. Now though, they said that they want to change their wish. All they want is for Swift’s mom to get better. So they made 1,989 cranes for her, in honor of Swift’s birth year, current album and tour. The task took them nearly four months. On Thursday, April 30 at 7:30 a.m., the girls will be featured on the Eagle 101.5 radio station, who says it has a HUGE surprise for them! “We also hope that when she gets the cranes that she feels really good and happy because she knows that somebody did something nice for her. And I hope that Taylor Swift’s mom does really good and that some of her new tests will run very well,” said Sam. The two girls often have combined birthday parties, where instead of friends bringing a present for the girls, they bring a donation. One year the girls chose Primary Children’s as the charity they wanted to help. They took all of their friends to Build-A-Bear and they bought about 50 different animals and gave all of them to the kids at Primary Children’s. Another time, Sam decided to help out a friend who had leukemia, so the family created a money tree and donated that money to help Sam’s friend with medical bills. These ladies caught the attention of Ellen!! They are on the Ellen Nation page. Please help this story get to Taylor by liking their video. Thanks!! These girl are so good hearted. I really hope the message gets to Taylor and her mom. I am a beast cancer survivor and I wish her mom the best. Taylor be strong for your mom and both of you take a the wondrous thoughts and love people send hold on tight and great things should happen. I send my love and good thoughts. Andrea Swift is one of the kindest, most amazing people I’ve ever had the fortune to meet. I’m so sad about her diagnosis. She is so strong. I had seen mention of the cranes on tumblr and was really touched, but reading this, I am so proud of these girls, and proud to see there are Swifties like these from my home state. I truly hope this gets to Taylor and Andrea. Until then, I keep Mama Swift in my prayers. Bless you girls.